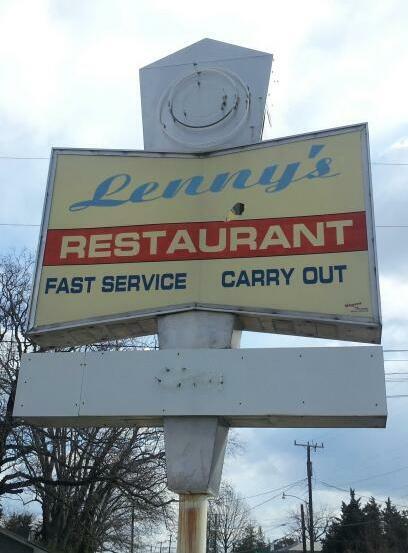 Lennys Restaurant is currently run by Shirley Griffiths. For 30 years it was owned and operated by Leonard S. Skeens, who passed away in 2007. I've wanted to try a meal here for a very long time. Recently, I was able to. This cool little place on Colonial Avenue serves up breakfast and lunch to a good number of people. One thing I really like is that there's a vestibule when you first walk in. It was a chilly morning and it felt good to get into that space. Also, we didn't freeze out the people sitting in the eatery thanks to those double doors. Ahead and to the right is a busy and bustling breakfast and lunch counter with barstools. To your left are booths and lots of windows bringing in some great natural lighting. My friends and I had breakfast in the room off to the right. There are a couple tables here and about five booths. 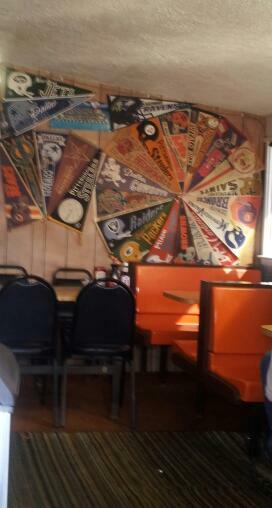 Plus, a fabulous sports pennants wall! The service was good and our orders arrived in a reasonable amount of time. If you're really hungry, order the Pancakes, they are pretty big! 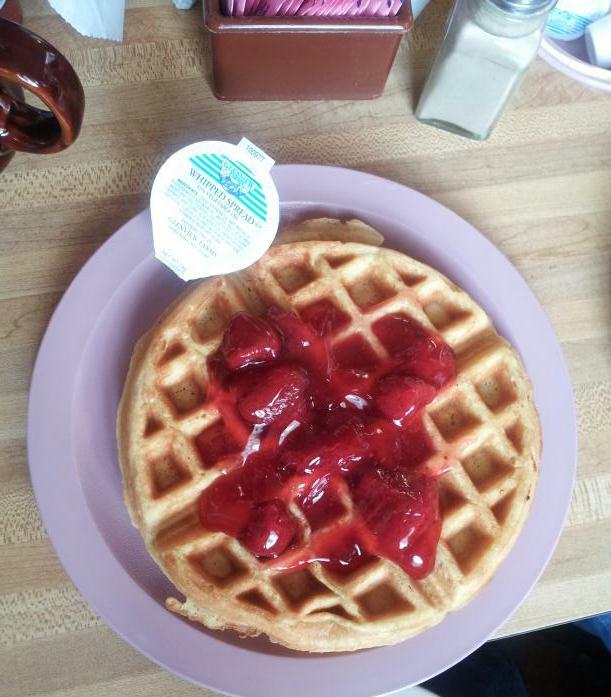 A couple of people in our group ordered the Biscuits and Gravy and I got the Belgian Waffle with strawberries. No whipped cream for me, but you can order it that way. I also had some French Toast with cinnamon. All in all, it was a good breakfast experience and a chance to spend quality time with some good friends. I will go back one day for lunch, and I'll update this page when I do.